WatchNow is the latest web TV widget that Y&R Philippines published to Ovi Store exclusively for latest Nokia smartphones running on Symbian^3 platform like Nokia N8, Nokia C7 and C6-01. Find out more after the break. Always missing the latest episodes of your favorite TV series? 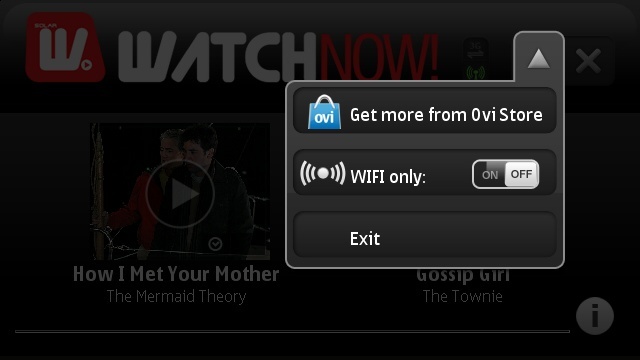 Not anymore ‘coz WatchNow lets you bring your TV in your pocket. 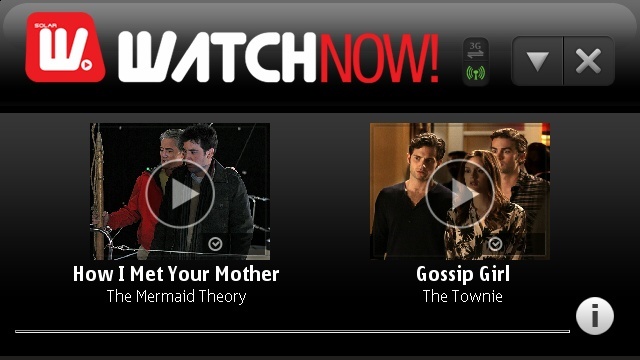 With WatchNow web TV, you can always watch the latest episodes of How I Met Your Mother and Gossip Girl anytime and anywhere. 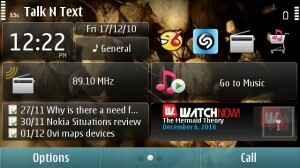 Dashboard for the app lets you view the two video screenshot with title and episode title. You could easily switch from 3G to Wi-Fi vice versa. But I suggest go for Wi-Fi if you don’t have an unlimited plan of data. 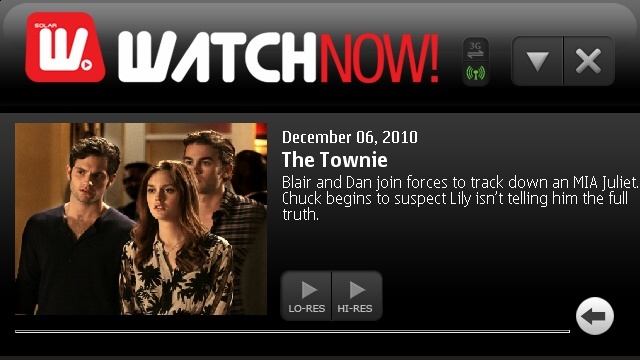 The episode detail is visible ones you’ve selected the episode. Plus you’ll have a choice between Hi and Low resolution. Which is a great feature. Player’s interface when you’ve selected the episode. 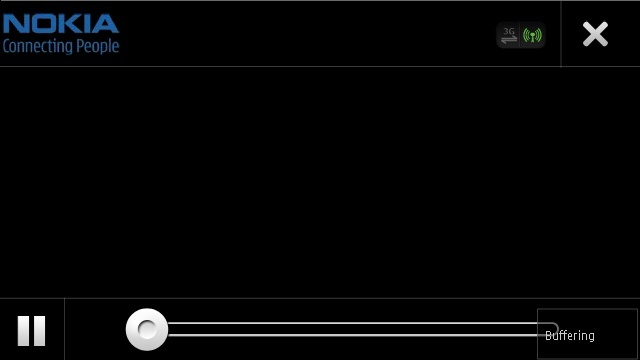 It also possible to buffer or load first the video for continuous play of the video. The app has the simple yet intuitive interface that packs with the basic tweaks that you need in viewing videos. The only caveat of the app is that it can’t give you the choice to view the older episodes and leaving you the latest one. Plus I’m not sure if this is all available to all regions. Update: For those who can’t download this app please use this link for direct download to PC. Is there any other way to get this? It’s not in the OVI Store on my N8. Sorry to hear that. But I think you will get the same app soon. I have a fast internet connection at home but latety im having hard time doing a successful streaming of watch now on my n8. But before, i tried it and its working great. I dont know what happened. Have you tried it recently? The app works great..provided you just need better connection. With Low Resolution, there are no buffer except from the start up. With High res there are buffer on the middle. My tip is to LOAD FIRST the video which is possible. Thx for the direct DL. Seems to work as advertised. Oh happy days..
And it works for me on High quality also, which is especially nice. When I click the OVI Store content link, I get the message that “This app is not available for your country.” The content appears to be us TV shows (and I am in the US). Is it possible the app is not available in the US because of copyright issues? But still you can download the application via direct download. Just use the updated link above. Does not work on nokia C7. installs properly but displays message : “this program only runs on nokia N8” when opening the application. I’m sorry, but I think this is a Nokia N8 exclusive app from Nokia PH. I’m not sure why they don’t support C7 even though the platform is all the same. But I hope this app will eventually come to Ovi Store.